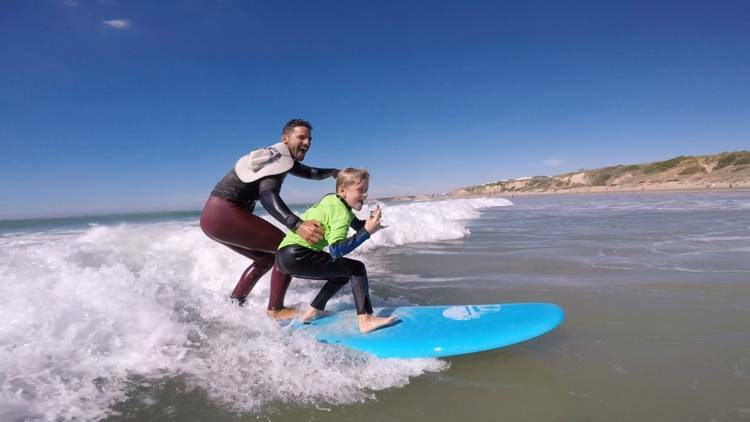 Oceano Surf Camp Spain and Surf School Spain are pleased to offer children´s surfing lessons in the format of a 5 day surfing courses for Children in Conil de la Frontera, Playa de Los Bateles, Andalucia, Spain. 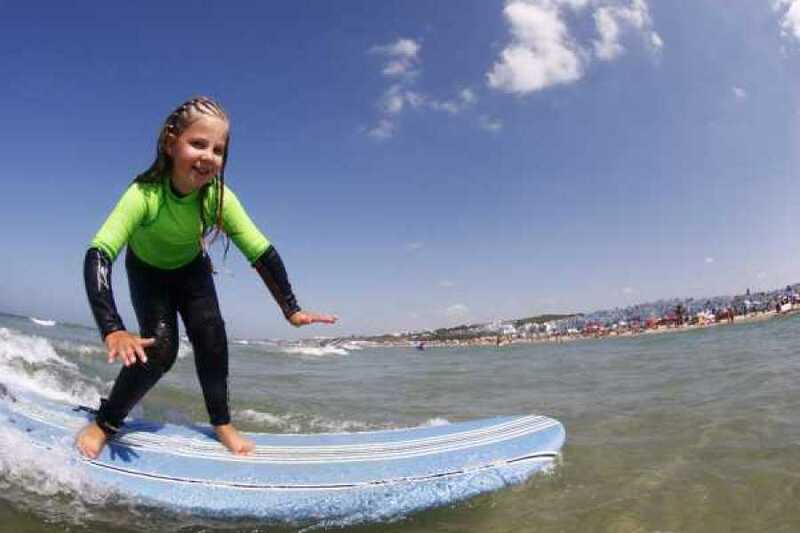 Perfect active beach holiday Spain! 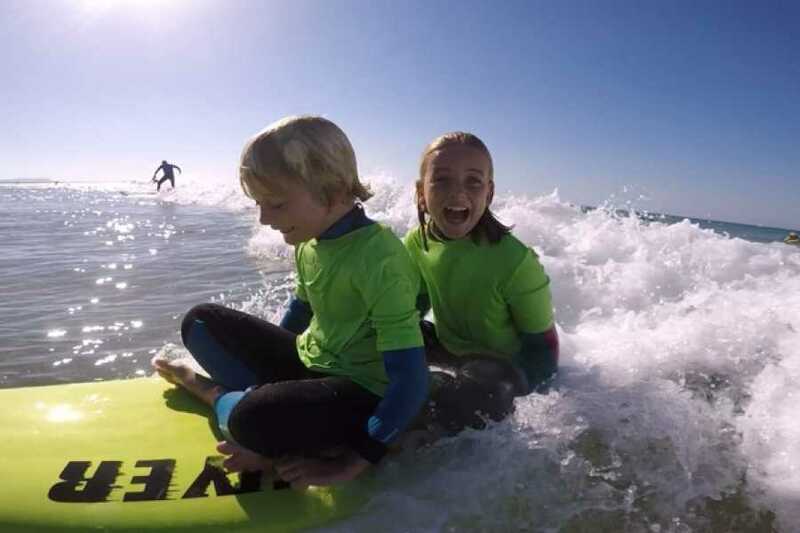 The 5 day surfing courses are specially designed for Children from 7 years old to 14 years old. 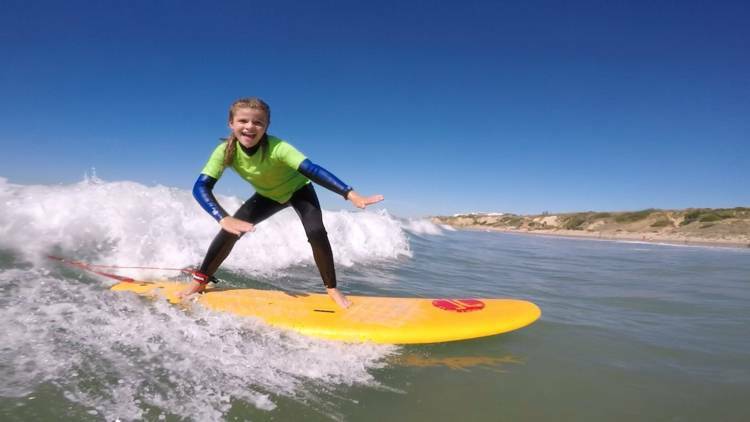 The kids will love this learn to surf experience. 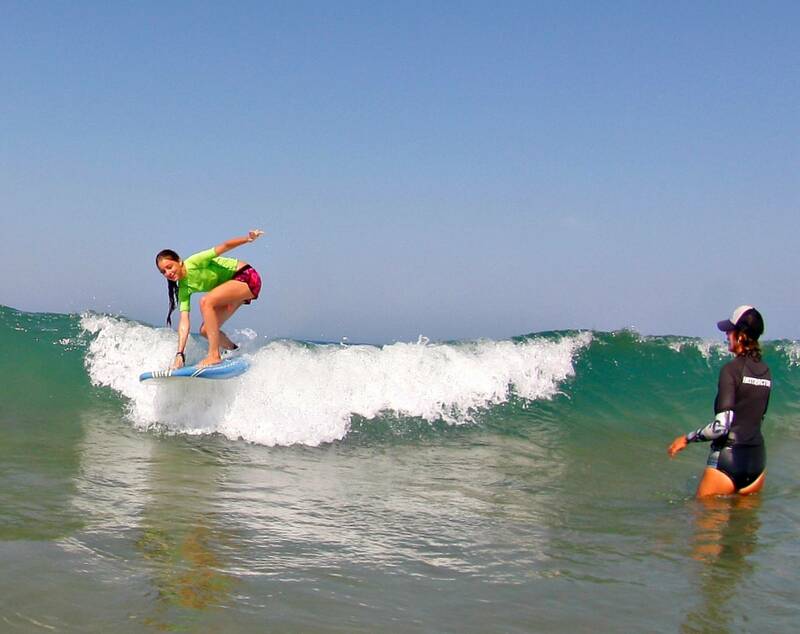 The 5 Day Surf Courses that are 10 hours long include surfing lessons from Monday through until Friday. 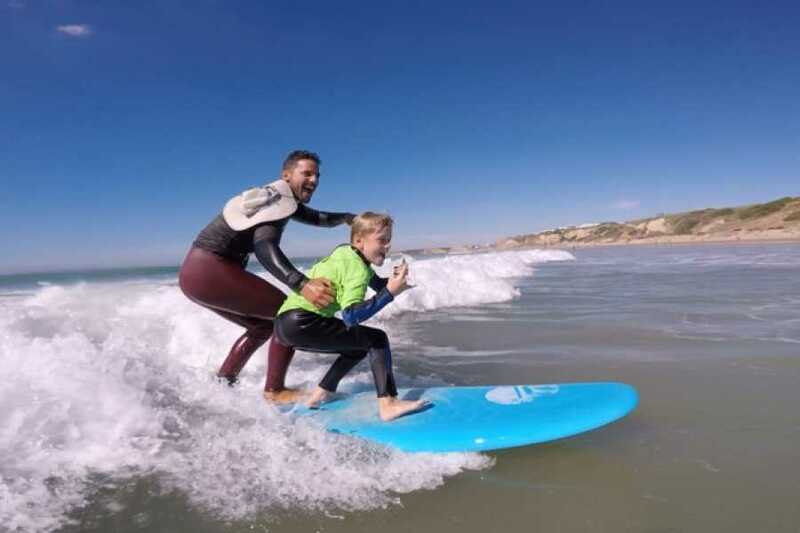 The Surfing lessons are two hours long. 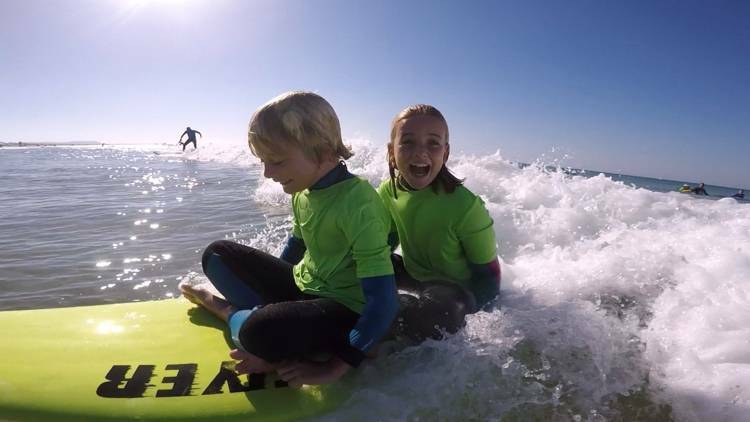 If the young people still have plently of energy in the afternoons they can opt for the afternoon board and wetsuit rental to practice all that they learned during the morning surfing lessons. We meet at the designated surfing beach. Please confirm the day before with the Surf School by calling / e-mail or WhatsApp message. The meeting time is 9:30am. Sign the booking form, size up for a wetsuit and surfboard. 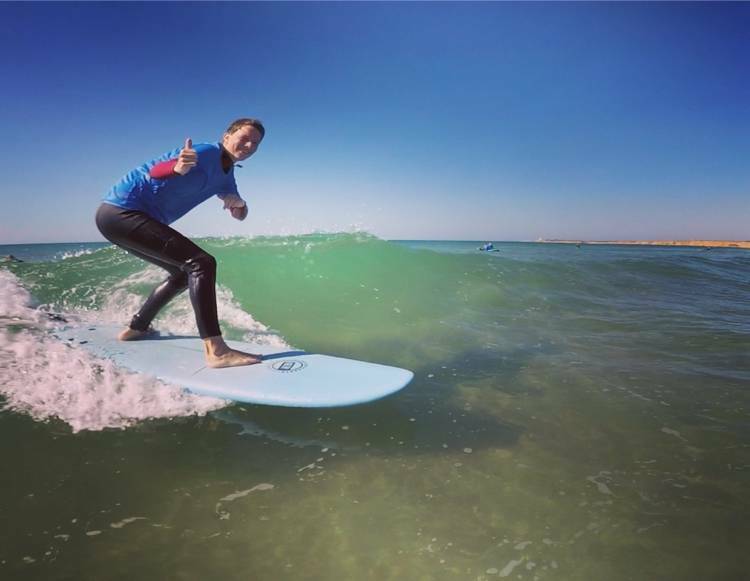 Join the rest of the group and make your way to the beach with your assigned surfing instructor. 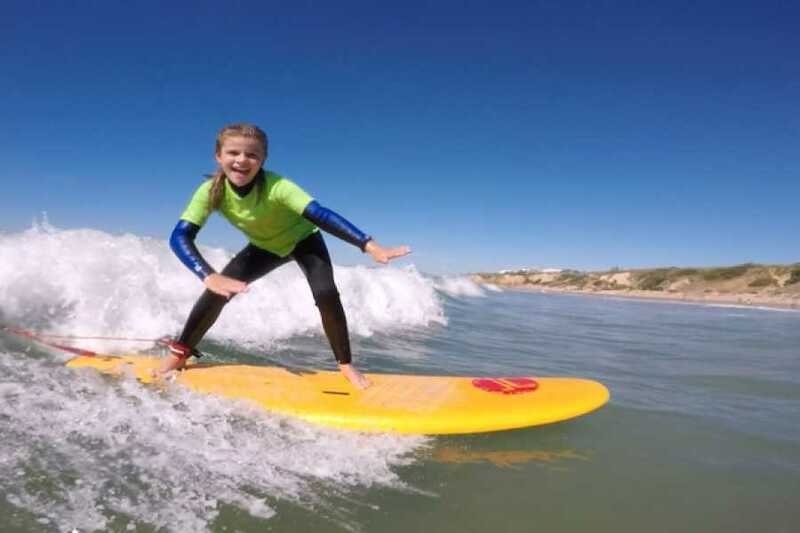 The Surfing lesson is 2 hours long and includes theory on the beach and practice in the water. Before the lesson our warm up with the children is normally fun beach games that we all play together. 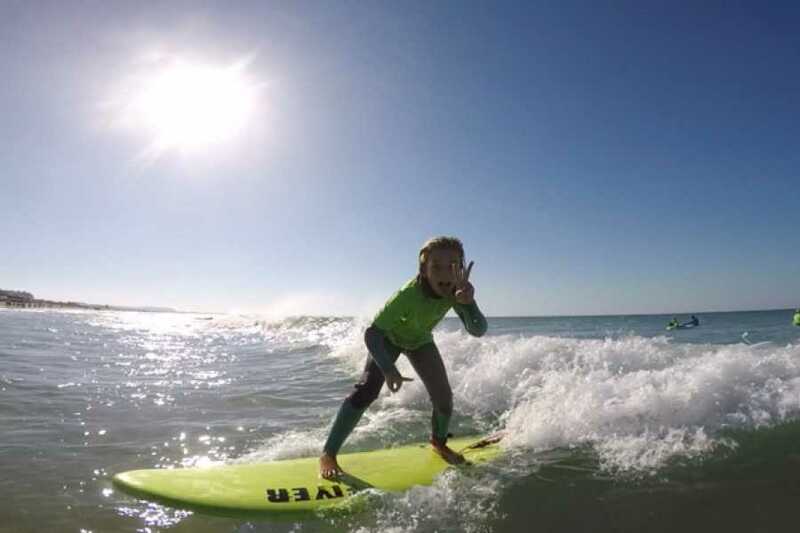 Meet at the designated surfing beach at 9.45am. Taking the drop. Leaning forward and generating speed. Theory on surf etiquette, rules and regulations. Play out realistic scenarios on the beach.